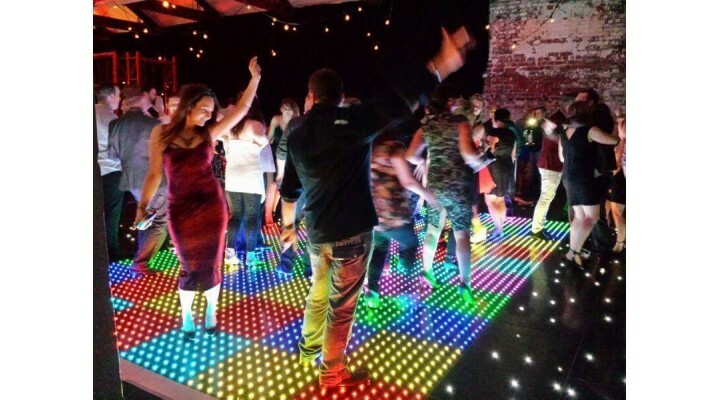 The Colour Commander dance floor is taking the world by storm and marks a huge leap forward for the portable dance floor market. 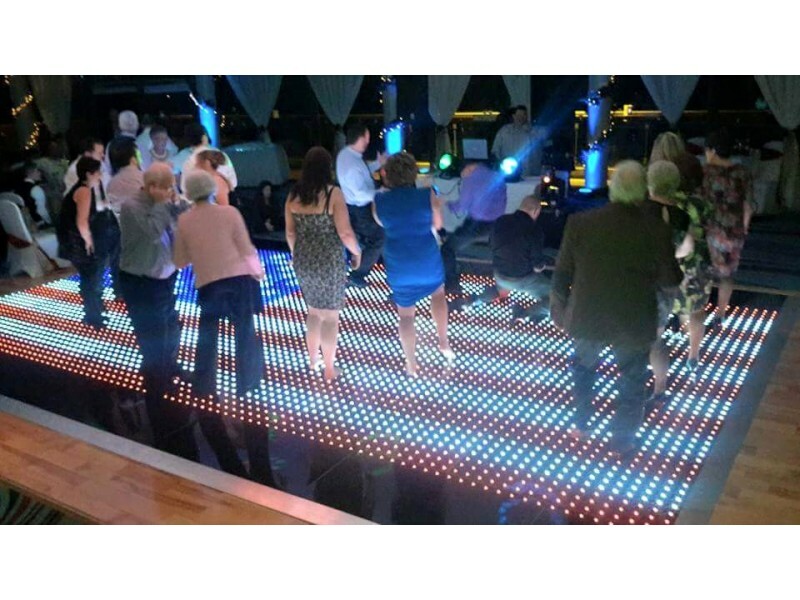 Based on our tried-and-tested interlocking, tool-free dance floor panels, now with a new thermo-formed-plastic and aluminium tray system. The acrylic panels house a matrix of super-bright, RGB LEDs which wirelessly connect to your portable device via the Command Centre. Once connected the operator can select built-in patterns, animations and images to display via the intuitive software interface. You don’t need an internet connection to operate the floor as it generates its own local network, however connecting your Command Centre to the web allows it to download any software updates or graphics and receive technical help direct from Grumpy Joes. 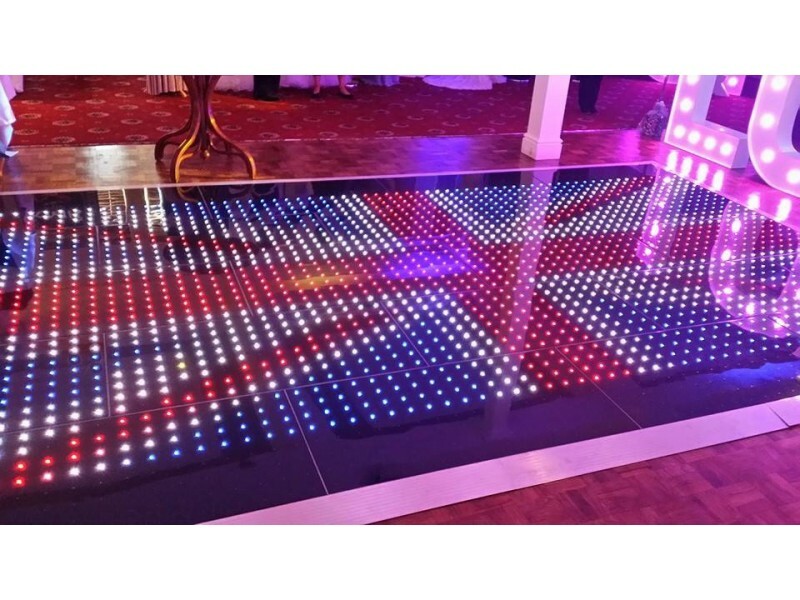 The Colour Commander system is compatible with our Acrylic Dance Floor and Twinkling LED Dance Floor. It uses the same low voltage circuitry ensuring the safety of users and withstands spilt drinks. Using a Wi-Fi enabled device (phone/tablet/laptop/etc) log-in to your Command Centre on the locally created network. 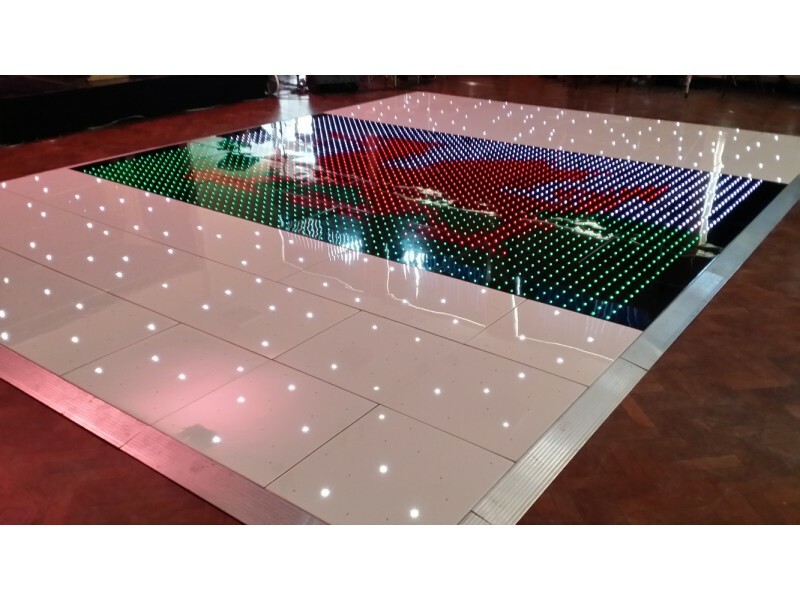 Configure the floor through the software to suit the shape/size you have laid. Instantly display amazing patterns, graphics, animations and video! Animate text to whiz across the floor – customise like never before! 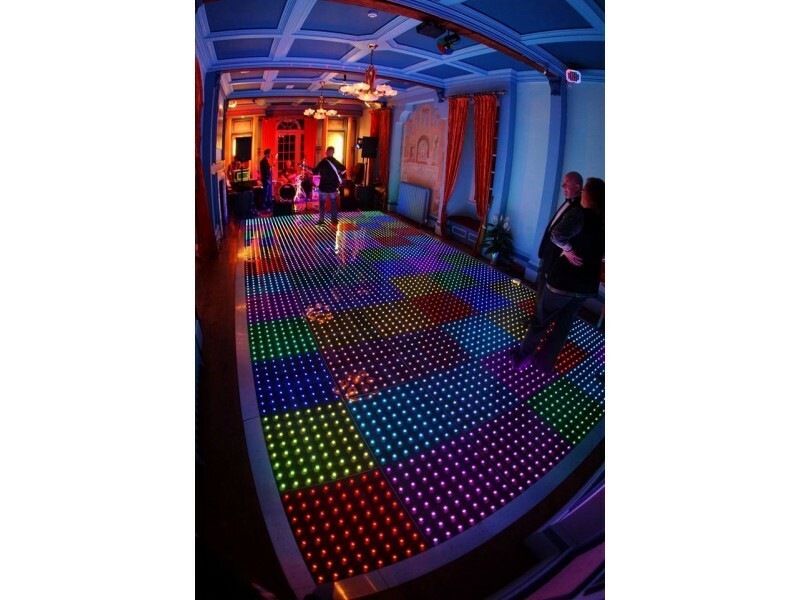 With built-in sound to light, the floor will pulse, bounce and twinkle in time! 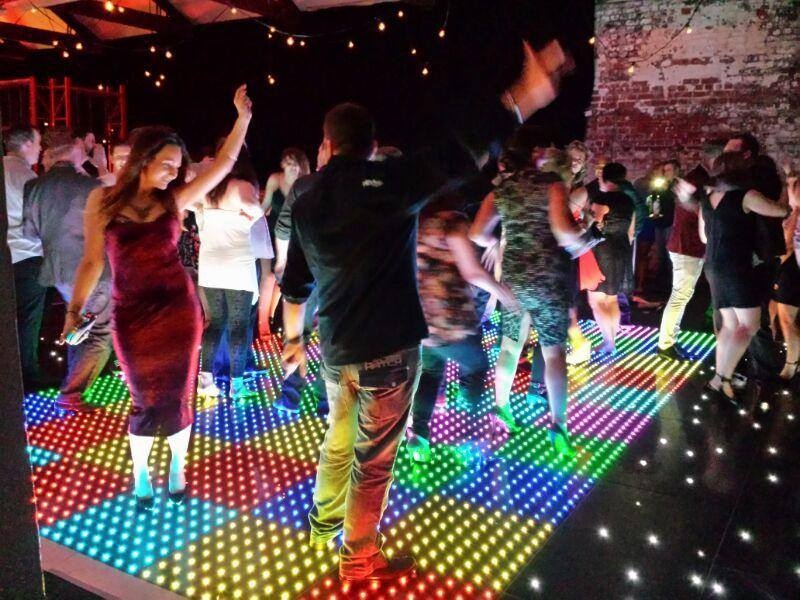 Wow your guests with the most amazing light-show they have ever seen! 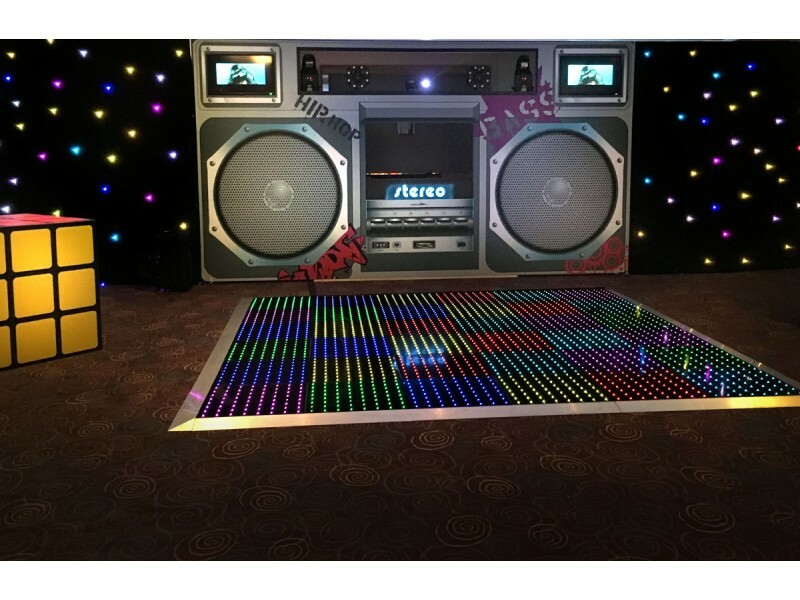 36V power supply for Colour Commander dance floors.New improved cover protects sockets from being da..
All edging pieces for Colour Commander dance floors. *Please note that powder coating is susceptible ..